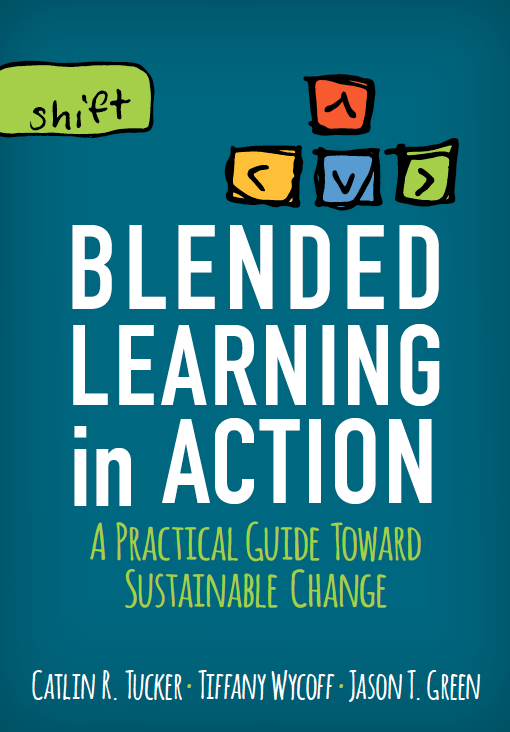 One reason I am such a big advocate for blended learning is that using the various models allow me to spend more time on the aspects of my job that I enjoy and feel are most valuable for students. I don’t want to waste precious class time talking at my students. I want to sit next to them and coach them as they develop skills and apply new information. I want to provide real-time feedback and conference with students about their progress. I want to engage in side-by-side assessments so students understand where they are excelling and where they need to spend time practicing to improve their skills. Using playlists is one strategy that allows me to accomplish all of these goals! The playlist concept stems from the Individual Rotation Model in which each student works from an individual playlist of activities. I’ve used playlists for formal writing, grammar, and projects. 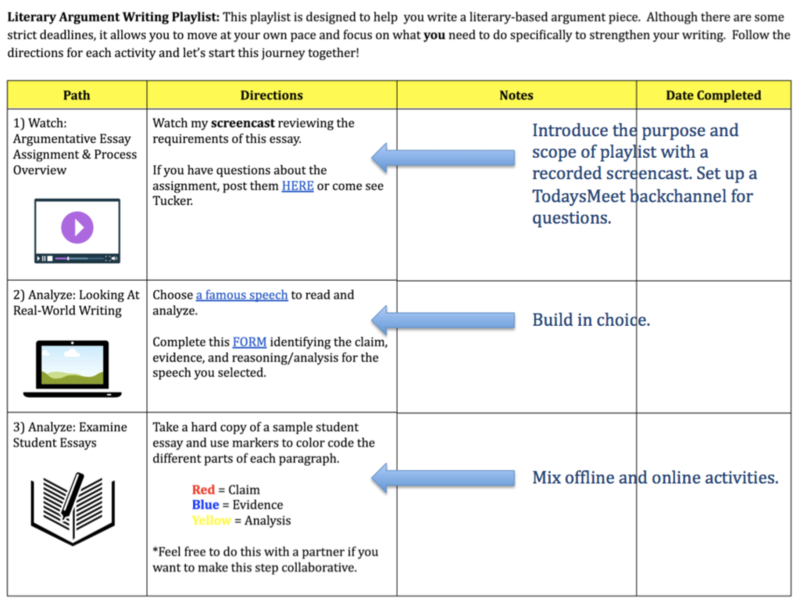 The goal of the playlist model is to allow students some control over the pace and path of their learning. When I design a playlist, I always start with a template. I include all of the activities that I believe MOST students will benefit from then I customize individual playlists to ensure that students who need additional scaffolding receive it and those who are ready for next challenge get it. Playlists pull together a mix of activities designed to build specific skills. Students control the pace of their learning and teachers can customize individual learning paths with the playlist model. An entire class can work on a playlist simultaneously, or they can be the focus of one station in a station rotation lesson. 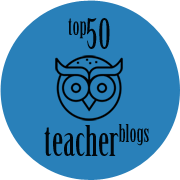 As students work on a playlist, the teacher must be available at a “help desk” to work directly with students who hit a “stop sign.” These short conferencing sessions allow the teacher to partner with students to ensure each child is getting the support, scaffolding, instruction, and practice he/she needs to develop. Click here to view my argumentative writing template. It will give you an idea of how I lay out the activities. 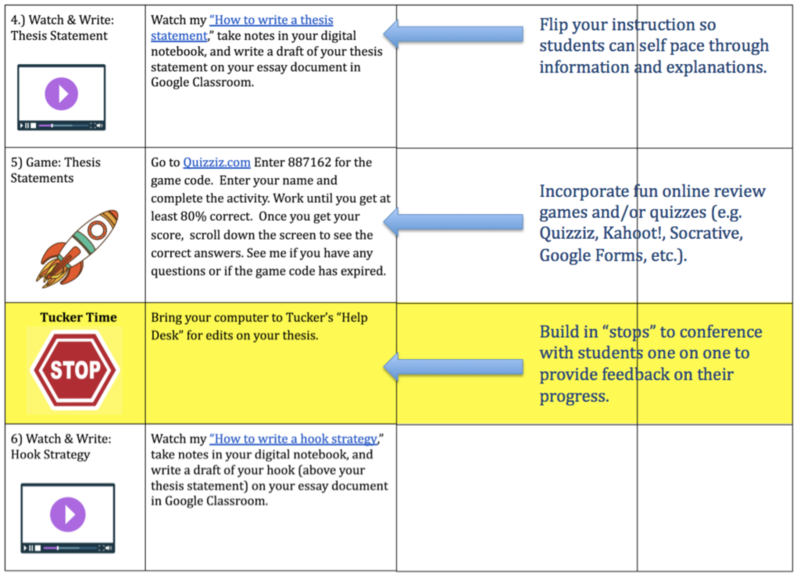 You are welcome to make a copy and customize it to use with your students. Catlin, Do all students complete all of the steps? And do they choose what to work on when? 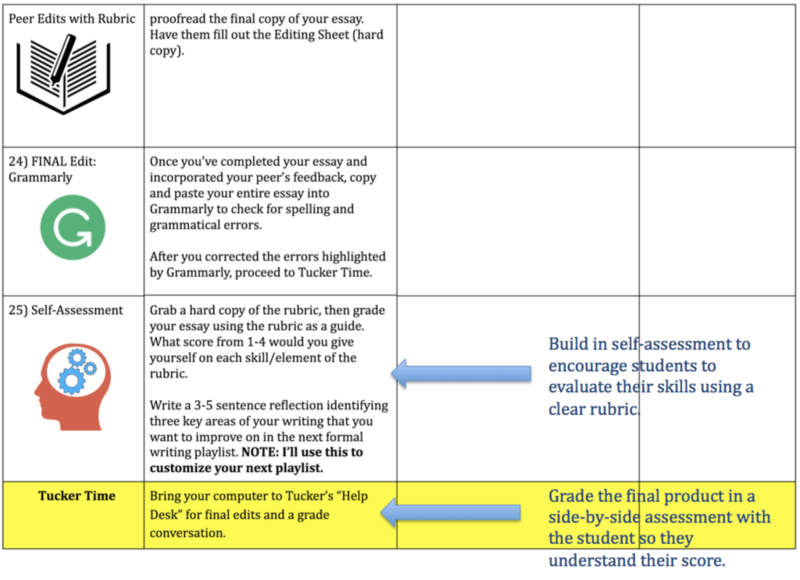 Yes, all students complete the steps though I customize the template for students who need additional steps and scaffolds (beyond the personalized focus sections that follow our help desk time). They work from beginning to the end sequentially. They do not jump around the playlist. 1) Do students complete all of this work in class? 2) What if you discover that a student is really not keeping pace – like hasn’t been to see you for the first stop sign within the first week of work time? I try to create time in class to make progress on playlists, but I have students who choose to work outside of class. If we are fortunate enough to have the Chromebook cart, we can work synchronously on them during a Whole Group Rotation. If I plan a Station Rotation, the playlist is a great online station. I note their progress on a Google Spreadsheet to keep track of their movement through the playlist. If I don’t see students by a certain date, I call them to my help desk to figure out what they need from me. Playlists have impacted my teaching and students so much! We are working on my argument writing playlist right now ? I agree they are game changers! I love the time I get to conference 1:1 with students and personalize their paths depending on their needs. Thank you for this awesome post on playlists. I’d heard colleagues refer to this process and frankly got them confused with choice boards. I love this idea and hope to try it!!! You are so welcome, Betsy! I’m glad you found this explanation helpful. I have done this in a group setting in class. I would like to it more individual. I want to do it more with fitness journals of students. I love the template you use for your playlists! Very teacher and kid friendly. I teach 5th grade and our students have 1:1 laptops. I’ve use individiual pacing through tasks in my class, but never knew to call it a “Playlist”. I find having the students engaged and knowing what order to preceed through the tasks/assignments, it allows for a more productive class session. While students are working I can conference with individuals or small groups. I hate wasting students time and my time with irrelevant talking or repeating myself. I was wondering how you distribute the playlist to your students? I saw you chose Schoology of one of your favorite websites. 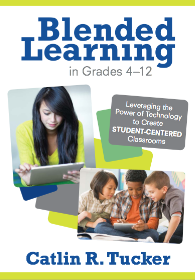 Our district uses Schoology, too. Our district also uses Office 365 with student accounts. In your opinion, if I am using Schoology, is the best way to distribute to the students using this LMS? I was thinking of creating the template as a word document and add it to a course as an assignment. I could also add certain tasks right in the Schoology course for students to access. I would love to hear what works best from your experience. I share the playlist with my students via Google Classroom. I do use Schoology, but I use the free version so I have limited functionality. I would imagine that Office 365 is probably your best bet unless you have an integration with Schoology that makes it easy to share from your LMS. I hope you’re able to figure out an easy workflow! I love this approach, and I’m very excited to try it in my grade 11 and 12 classes this year. Thank you so much for sharing!! 2. Record a screencast (a recording of my screen with audio) with either Screencastify (Chrome Extension) OR QuickTime on my Mac. 3. If I record with Screencastify, it saves to my Google Drive and I share the direct link to the video in my Drive with students (usually using a customized Bit.ly link). If I make my video with QuickTime, I upload it to YouTube and share it from there. I’ll work on a more detailed explanation in a future blog post. Hopefully, this will help for now! Let me know if you have any questions. THANK YOU! I have been looking for something like this. I do have questions about the essay itself. Is there a place where the prompt is shared? I have struggled with a rigorous and appropriate argumentative prompt for years. Also, how long does this playlist take for students to work through (beginning to end)? I am curious how much time to allot. What do you put on your Quizizz for students to complete? I see that it says thesis statements, but I was unable to access the Quizizz to see what it was about. Typically, it will test them on elements, location, and present different thesis statements so they can practice selecting the best one. I loved reading about Playlists! What a great way to engage students and keep them focused on completing goals! I am curious about your thoughts on Study Sync. Our district is looking to adopt it in our upcoming round of ELAR adoptions. Do you find it easy to use for differentiation? Are you pleased with the student side of the program? 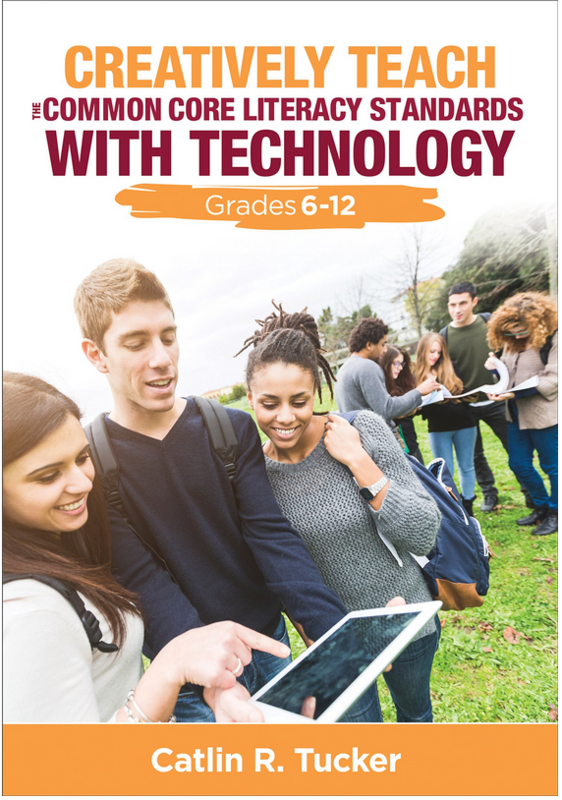 Does the technology aspect seem engaging to students? Thanks in advance for any and all help with this! StudySync takes the work out of differentiation, which I SO appreciate! You can identify each student’s level of need on your teacher end. 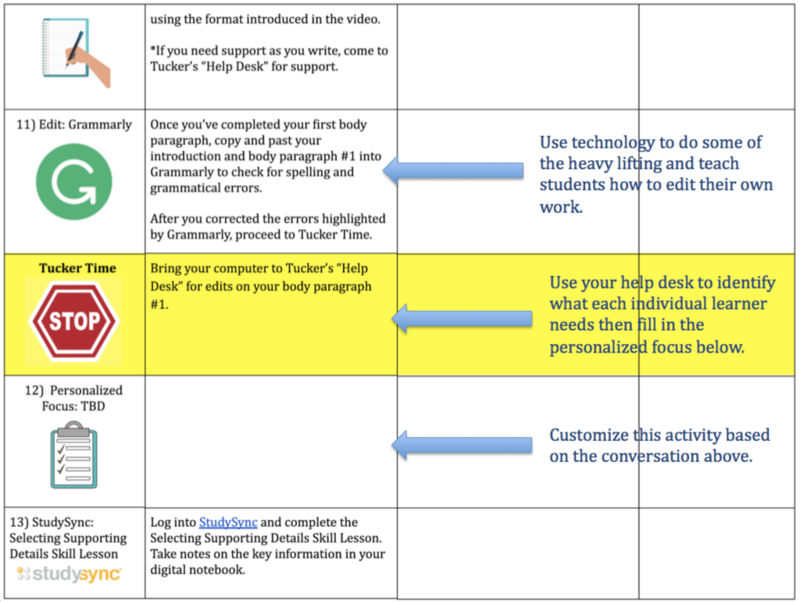 Then when you assign a text, the appropriate scaffolds are automatically provided for each student. It’s awesome! Yes, I like the student side of StudySync. The annotation tool is great for honing online active reading skills, the video previews grab reluctant readers, the SyncTV episodes model strong discussion strategies, and the audio readings of the texts help even my lowest readers access the texts we are reading. I think the biggest issue is that teachers need to weave StudySync into their classes. Too often, teachers assign a lesson in StudySync and ask students to complete it, but the lesson plans provide ideas for blending online and offline work with the program. I don’t want to see students staring at a screen all period. I wrote the blog below about how I use StudySync to create whole group rotation lessons. 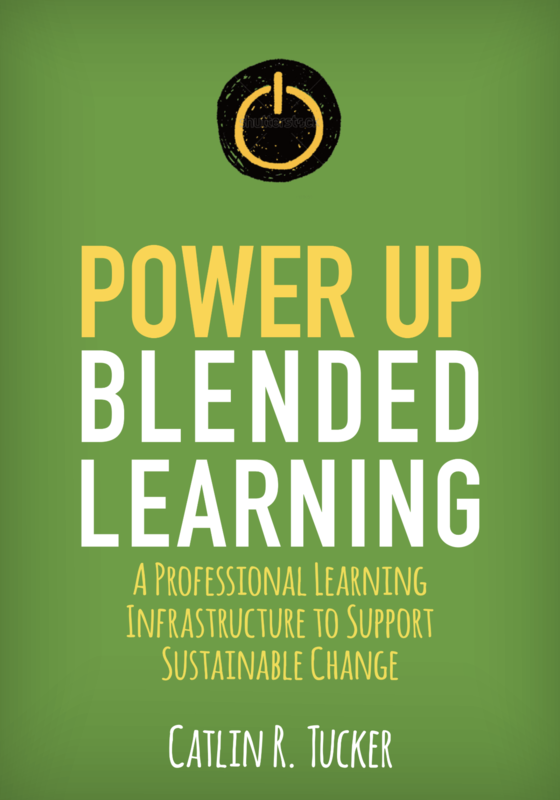 It’s a dynamic program with a ton of content from which teachers can draw.